With the right Maths strategies at KS2 it becomes a lot easier to achieve the progress and increased attainment we want to see for our pupils in Maths. Understanding the key ingredients to attainment in Mathematics is at the heart of what we do at Third Space Learning. As Maths specialists, the successes (and failures!) that we’ve had over the years have shaped our practice. 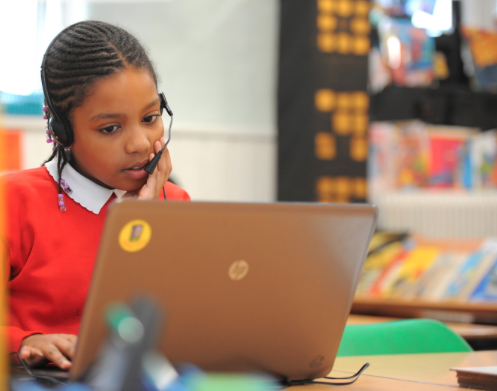 We feel we’ve come a long way in developing and applying these KS2 maths strategies and teaching and learning techniques that engage pupils, breed confidence and, ultimately, achieve the sort of SATs results and confidence in Maths that we all aspire to. 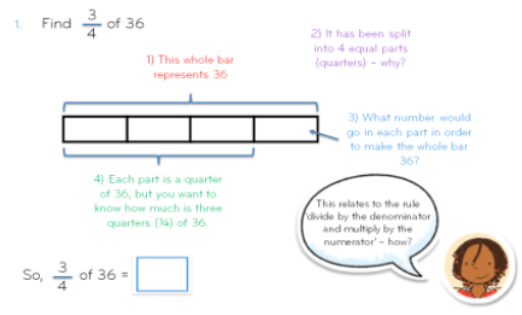 In this post, we share the practical and tested KS2 Maths strategies that we use in our 1-to-1 Maths interventions to achieve double a child’s original progress in Maths. While we build our provision around 1-to-1 maths interventions, the same KS2 maths teaching techniques are as effective for small group and whole class teaching, you just may need to modify which maths strategy to use in each context. All these KS2 maths strategies are taken from our guide on how to plan, manage and teach Maths 1-to-1 (or in small groups), an invaluable teaching resource if you’re planning on running maths interventions in your school. Nothing captures a pupil’s imagination more than their own interests! While learning your pupils’ hobbies and favourite pastimes can be time-consuming, it should happen naturally over the course of the year. You can then use this knowledge to personalise classroom explanations. With your own KS2 maths class while you cannot personalise for every child, engaging children with fun real life maths activities and is a great start. This should be the bread and butter of teaching for interventions (and in general). If you’re not sure if a maths resource is pitched at the right level for your pupil(s), then you need to find out. Before your intervention, look at previous session data or pupil profiles. Are there any areas you should be aware of, such as EAL, dyscalculia, ‘struggles with times tables’, etc? Like our tutors, we advise you tally this against the intervention resources and make notes against any potential areas of difficulty, or likely misconceptions. Remember, forewarned is forearmed and avoiding speed bumps when time is limited is crucial to maximising learning. With a class of 30 it can be more tricky to ensure you’re aware of every misconception. We recommend using diagnostic assessments wherever possible at the start and end of every topic. See also this blog post on effective mixed ability grouping in Maths. Particularly in Maths, where learning needs to build upon previous learning and foundation concepts, recapping prior knowledge is essential. When teaching pupils through our specialist Maths intervention, our tutors always create a linking question from past lessons to kick-start learning in a new one. This can save precious time and ensure you never try to teach a new concept to a class that they’re simply not ready for. Don’t assume that just showing your class the learning objectives will make them understand them. Our tutors do this by; asking pupils to identify keywords they don’t understand, asking open-ended questions such as ‘what is the difference’ and ‘what do you think of’, and discussing how lesson objectives link to prior learning. Discussing lesson objectives is much better for retention than just stating them. If a pupil does not understand key maths vocabulary, it is important to get them up to speed before undertaking new learning. To address any misunderstanding, our tutors will often get pupils to describe maths keywords in their own words before they start a topic. Plus if pupils are struggling they will simplify keywords and, for example, discuss ‘sharing’ instead of ‘division’. Where possible, learning should be paced to the needs of the pupil(s). This is is why our tutors use Assessment for Learning to adjust the pitch and pace of their lessons. This is as simple as moving quickly through content that the pupil understands, and slowing down to expand or explain a concept that they’re not getting. The key element is not to move on from content that a pupil is yet to secure, regardless of how much time you spend on it. Personally relevant problems are way more fun to solve. Posing a question in the context of the pupil’s name, or their favourite animal, is likely to increase their engagement. To this end, our tutors often use the pupil’s name, favourite animal, or interests to create personally relevant Maths problems for them to solve. As familiarity and rapport with your class builds throughout the year, this should become easier and easier to do. We’ve got plenty of maths activities you can use to personalise learning to pupils’ interest such as this football maths lesson, this Science in Maths activity or a KS2 maths investigation into famous mathematicians for International Women’s Day. Finding time for high quality maths talk in a KS2 class is hard. But, wherever possible, you should encourage active learning and promote discussion rather than lecturing. Short attention spans are an ever-present hurdle and classroom discussion keeps students from zoning out. Plus it enhances metacognitive development. Above: A Third Space pupil discussing a Maths problem with their tutor. The maths mastery method of using CPA is a staple of many Maths teachers’ toolkit. Use real objects to build the pupils’ foundations for conceptual understanding, and follow up with pictorial representations that help them freely conceptualise a problem. This technique is tried and tested and using it enables pupils to grasp more challenging content quickly and effectively. There are two stages of this. Conceptual variation, which shows pupils different ideas that underpin a Mathematical concept, can be framed using questions such as ‘what’s the same?’ and ‘what’s different?’ between different representations. It helps pupils distinguish the essential and obscure characteristics of a Maths concept. Connecting topics to maths in the real world makes them more memorable and engaging. This should be done as often as possible and our tutors are expected to connect all Maths learning to real life, even in more abstract topics! KS2 Topical Maths Resource for Summer Term (2). There’s a big difference between learning a method and gaining real understanding. Our tutors always teach multiple ways to approach the same problem. For example when teaching rounding tutors can use a number line, or ask pupils to simply use the relevant columns to inform their rounding. This is especially crucial for Year 6 pupils who need the tools to answer SATs questions independently. Learning should be structured with gradually decreasing support: from scaffolding to independent learning and finally to stretching. In our intervention, tutors always model answers and show pupils the steps to success before asking them to answer a question. Moreover, when moving towards the plenary of a lesson, our tutors provide multiple opportunities for pupils to work independently and extend their own learning. We all know verbal reasoning plays a large part in improving metacognition, but it is the quality of a discussion is what counts, not the quantity! Like our tutors, you can encourage quality pupil talk by effective questioning in Maths like ‘how did you get to this answer?’ and ‘how would I extend this question?’ This also addresses the three main aims of the national curriculum: fluency, reasoning and problem-solving. Bar-modelling is taking the primary Maths world by storm for a reason. From routine calculations such as 4 + 3, to more complex multi-step SATs problems, they are a fantastic learning aid as they show the inner workings of Maths problems. Here are 25 word based problem solving questions with bar models to get you started. Above: An example of our tutors using bar models to aid learning in a 1-to-1 Maths intervention session. Research clearly demonstrates that, compared to other subjects, pupils are most likely to believe they won’t succeed at Maths. To build that crucial confidence our tutors always praise the effort a pupil puts in, rather than the pupil. We find phrases like ‘you found a really good way to do that!’, or ‘I can tell you’ve been practising’, really improve motivation and attitude towards Maths. Read more on how to get growth mindset right in primary schools. Just as linking from previous concepts gives pupils a sense of familiarity, linking to future concepts ensures that pupils don’t get “lost” in learning. This is why our tutors always signpost the learning in any given lesson. Signposting can be as simple as telling pupils that ‘we’re going to move on to a rounding numbers to a million, it’ll use the same strategies as rounding to ten thousand, but it’s more of a challenge’. This keeps pupils engaged and on track. It’s particularly important when developing reasoning skills at KS2. Metacognition should be an integral part of lessons and pupils should frequently assessing their own learning. One way to do this is to focus the plenary on what was learnt that day and, more importantly, how it was learnt. You can do this in lots of different topics within KS2 maths – we find it particularly helpful in helping to teach and recall times tables too. Praise is a great confidence-builder, and corrections can be incorporated constructively within praise. For example, ‘it’s okay that you’ve made a mistake but it’s important that you learn from it. This is especially crucial with pupils who may have less Maths confidence than their peers. To be effective, pupil talk requires proper structure and expectations. One technique we use is to ask a pupil to teach back to the tutor (towards the end of the lesson). It is the ultimate test of understanding. It’s particularly effective in 1-to-1 settings, where the pupil is under less pressure than in a group. However, when used as a group activity (with more confident pupils doing the teaching) it can be effective in a classroom setting. If you’re new to this one, why not start by trying it as a maths strategy to help your pupils memorise their number facts. So those are the 20 maths strategies which we use to guarantee progress in maths at KS2. Often our tutors are able to achieve double the expected rate of progress in a 1-to-1 setting but even with a whole class we hope you’ve found plenty of ideas for your own teaching. Tweet us @thirdspacetweet and tell us which strategies you already use or which you’d like to see used more in your school. And don’t forget to download our full, FREE guide to effective 1-to-1 Maths interventions here. What Is Fluency And How Do The Best Schools Develop It?